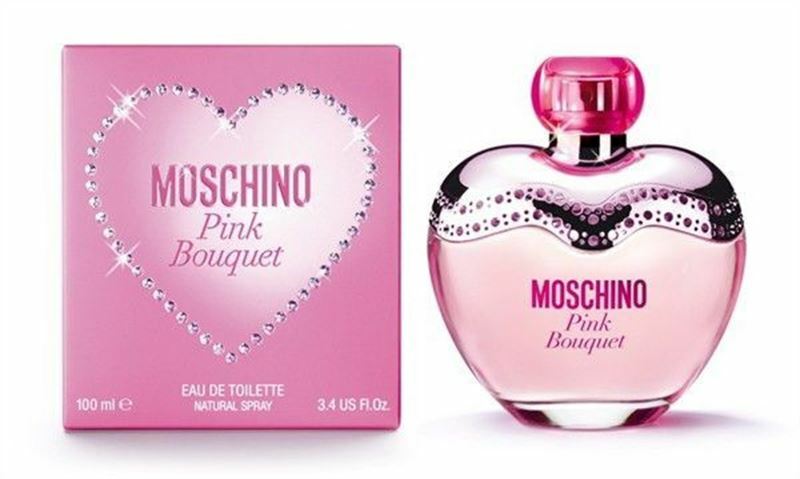 Moschino Pink Bouquet Eau de Toilette. A bright and intense burst of energy, with a vibrant composition of sparkle and exuberance. This fragrance is a radiant medley of notes: the senses are captured by the explosive freshness of Bergamot and Pineapple sorbet, delightfully awakened by Peony and romantic Lily of the valley, intensified by Mystical Jasmine. The Floral heart is exquisitely laced with gingerbread and mouth-watering peach, for a sweet addiction. In the base cosmone, an intense and elegant moss, gives the composition a smooth texture.